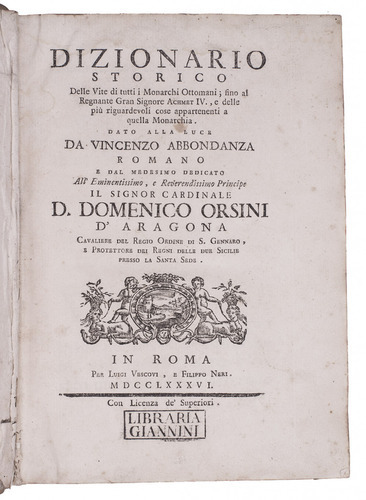 Dizionario storico delle vite di tutti i monarchi Ottomani. Rome, Luigi Vescovi, Filippo Neri, 1786. 4to. Contemporary sheepskin parchment. 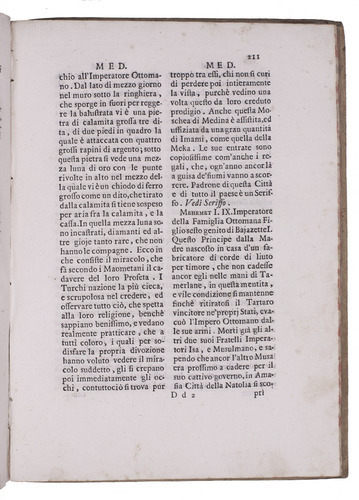 First edition of an alphabetical dictionary of the Ottoman Empire, in Italian, with entries for the biographies of the Emperors, other prominent people, accounts of the cities and other topographic entities, the Quran (under "Alcorano"), architectural terms, religions and many other subjects. The entries are quite detailed, many covering several pages. 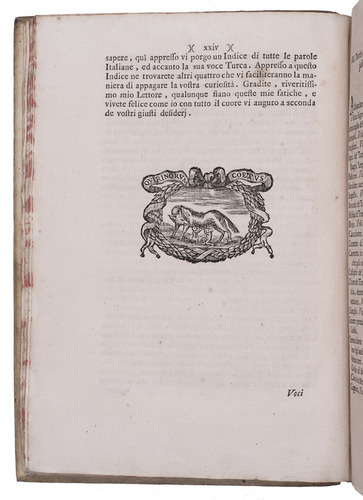 With a library stamp at the foot of the title-page. With a faint water stain at the head of the first few leaves, not reaching the text, and occasional minor foxing, but otherwise in very good condition and with generous margins. 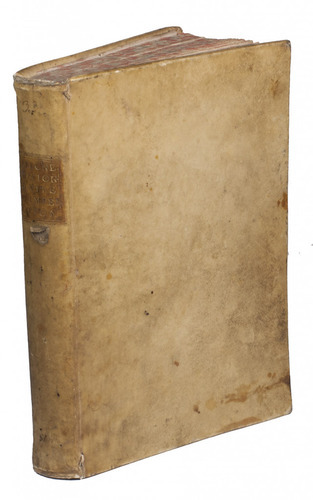 The binding with a small torn hole and several small worm holes in the spine, but still good. Atabey 2; ICCU UBOE 028414; not in Blackmer.